Putin’s swift annexation of Crimea has been extremely popular in Russia and is akin to restoring the national pride within Russia as was the case of Ronald Reagan following the heals of Jimmy Carter and the whole Iran Hostage debacle. Putin has lost Ukraine for now, but the economic conditions within the EU and the insane policies at the IMF inspired by the bankers mixed with internal corruption at the IMF that has been legendary, Putin’s dream of restoring the Soviet Empire are not gone. 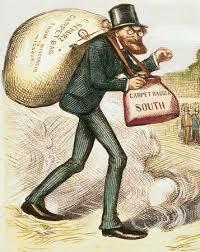 There will be a serious risk that Ukraine is driven into the arms of Russia by the IMF and the bankers who are more akin to the carpetbaggers that plagued the US South following the Civil War. Their polices are not designed to help the people of Ukraine, but to fill the pockets of the bankers. This is what they did to Greece as well. Putin has lost Ukraine temporarily, and he is still building his former empire turning to Central Asia.Kazakhstan was one of two ex-Soviet countries, along with Belarus, that joined Russia’s customs union. Putin is moving forward with this plan and they will sign documents this year to form the Eurasian Economic Union. This is a trading bloc all within the former Soviet borders intended to economically compete against the EU. The other four former Soviet republics in Central Asia are more-likely-than-not to join with Russia as Putin seeks to restore the influence of Russia in the Central Asia region. 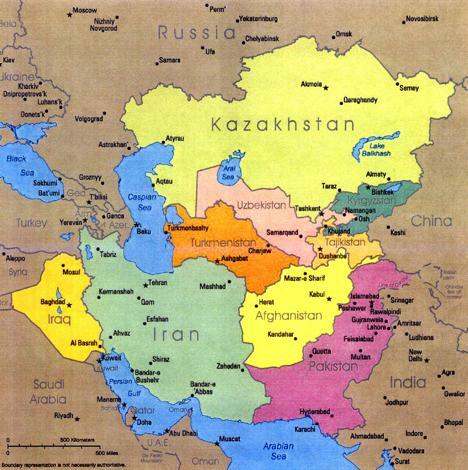 This will be a region in size that is equal to Western Europe stretching from the Caspian Sea all the way to China. None of these former Soviet republics have criticized Russia over Ukraine. Western-style politics remains distrusted in Kazakhstan, Tajikistan, Turkmenistan and Uzbekistan where the rulers maintain very tight lids on any civil unrest. Only Kyrgyzstan is moving toward a parliamentary style republic. Kazakhstan has the greatest population of ethnic Russians. Nevertheless, the actual Eurasian Economic Union is by no means a movement to simply hand political power to Moscow. Ironically, this the very design that President Bush, Sr. was promoting – a sort of United States of Russia keeping it intact for fear of nuclear weapons running amok. Therefore, it appears that maintaining political independence within these former Soviet Republics is their self-interest within the political ruling class. Kazakhstan will by no mean cede its sovereignty to anyone. There is a fierce religious independence that in turn would prevent that sort of take-over by Moscow. Kazakhstan is predominantly a Muslim nation that declared its independence from Russia 22 years ago and they view the events in Ukraine as a direct threat to their nation given they are Christian. Kazakhstan produces oil and natural gas and is holding accession talks with the World Trade Organisation. Its economy correlates closely with Russia. Putin’s March 1st announcement that he views it to be Russia’s right/obligation to invade its neighbors to protect ethnic Russians have raised alarm in Estonia, Latvia and even Poland. However, in Central Asia there does not seem to be the same degree of alarm. Kazakhstan back in 1991 had a population mix of about Kazakhs accounting for only about 40% of the population that was matched by ethnic Russians. Today, Russians account for only about 22% of the population and Kazakhs are now about 65%. There were occasional outbursts of ethnic tension that appeared back in 1990s and are likely to reemerge in 2017. There are extreme nationalists in Russia who are demanding Russia take over northern Kazakhstan. This is a rising nationalistic trend that will get worse after 2015.75. Since the great collapse of the Soviet Union in 1991, we face the first major conjunction in politics come 26 years later or 2017.